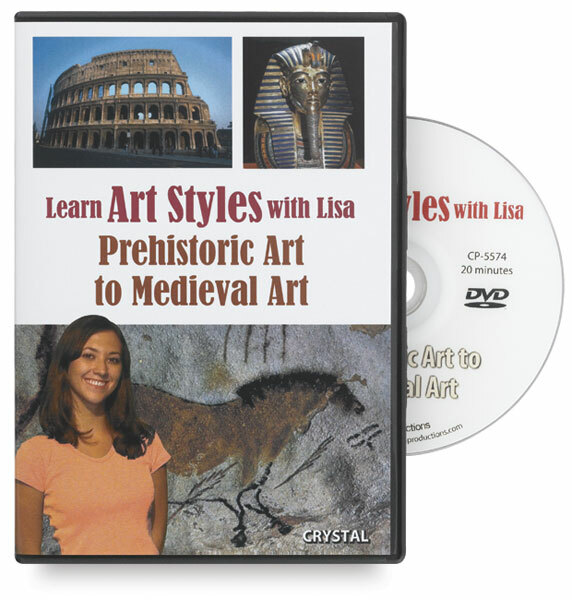 Based on the popular poster series, each DVD offers a fast-paced overview of important works and characteristics of 24 important art styles from the 1100s to the present. DVDs are intended for grades 7 and up. Roman Art, Pre-Columbian Art, Byzantine Art, Early Chinese Art, Medieval Art, Prehistoric Art, Egyptian Art, Greek Art. ™ Crystal Productions is a trademark.